In our last post, we discussed why it is important to win a case before trial and we went over some excellent ways of doing so. In a patent case, for example, let’s say we could end litigation by winning a landslide victory in claim construction at a Markman hearing. Granted, this doesn’t necessarily cut off all the post-trial costs because the U.S. Court of Appeals for the Federal Circuit will ordinarily be involved. But a claim construction that forecloses or ensures infringement or invalidity is a very powerful result. Similarly, in a criminal case, a convincing pre-indictment meeting with assistant U.S. attorneys, or similar state prosecutors, and their staffs can save a good amount of time and money. But what if the opportunity to argue a case before trial isn’t necessarily going to end the litigation? Is it still worthwhile to follow best practices early on in that case? Well, if you and your client are committed to spending hundreds of thousands or even millions of dollars taking a case to trial, shouldn’t all that expense and effort be worth it in the end? Depositions, settlement negotiations, mock jury exercises, and similar proceedings provide you with real opportunities to focus your case and sharpen the way in which you will present it to a jury or judge so as to maximize your persuasiveness. This early work will put you in a position to win at trial and on appeal. But how do we do this? What is meant by “best practices”? The best practices in litigation are based on the idea that the road to success at trial is forked. You need to approach litigation in a specific way. 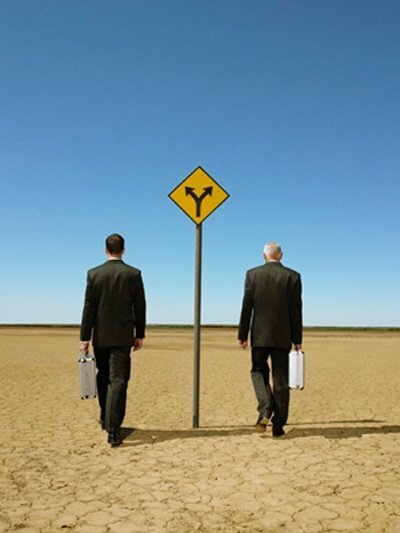 Many attorneys fail to develop the necessary two-track strategy. Litigators know that during a trial, a jury tends to find relatively few facts to be interesting and important. They usually decide the case on the basis of those few facts. Jurors are always looking for the “smoking gun,” and attorneys need to recognize this and to build their case around those key facts. What begins at the early stages of case preparation as a single track of general case-building now needs to change to a two-track strategy directed both toward a persuasive presentation and to the formation of a solid record. These two tracks clearly do not have the same path or destination, but both are essential to winning. Often in litigation, too little time is spent on the track of developing a sympathetic story and theme that will be presented to the jury. Instead, litigation teams tend to focus very heavily on the minutiae of a case until the last minute before trial and not enough time putting their story together in a way that will be persuasive to jurors. In our next post, we will discuss why storytelling is so crucial to winning at trial. Click here to be notified of subsequent articles.